ryan writes: will work for food. I don't spend all of my time writing. Consequently, Husband likes to wrangle me into his wedding photography business. Since we're married and share the moolah with each other, he doesn't actually give me money to lug around cameras and snap pictures of smiling brides. I do however, get paid. 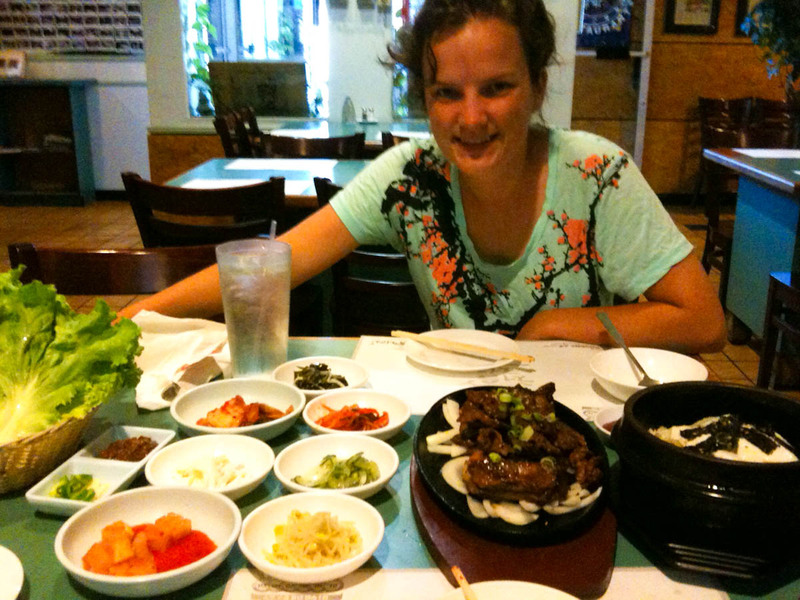 We had a wedding in Atlanta this past weekend and took advantage of the Korean neighborhood there to get some kalbi and dolsot bibimbap! Unfortunately, Charleston isn't quite there with Korean BBQ offerings, and I've been seriously craving some since our return from South Korea almost 2 years ago. I will say though, it was a smelly, smelly car ride home! Kimchi is very... er... distinct in that department.